Being able to convert the PDF file locally obviously has advantages such as not requiring the internet and faster conversions. Here’s four tools we’re looking at. The installer actually includes a 4.2MB piece of adware called 7-Data Recovery which you need to opt out of in the very first install window. The setup installer can be extracted with 7-Zip to make the program portable, which is quite useful. The UniPDF program itself is nice and easy to use with not much in the way of options to configure, just drag and drop the files to convert onto the window or add them manually. In addition to saving as Word compatible formats of DOC and RTF (it defaults to RTF which you can change in Settings), you can also output to Image (JPG, BMP, TIF, PNG, GIF, PCX and TGA), plain text (TXT) and an HTML web page. The installer is a pretty sizeable 35MB and also contains adware so be aware. One valuable feature it does have is the ability to perform Optical Character Recognition (OCR) on a PDF where the pages have been scanned. Currently it recognises English characters only. 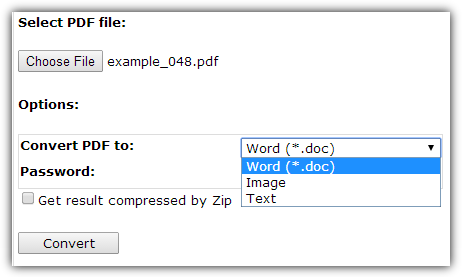 In addition to the standard output formats of Word DOCX (DOC is only available in the paid version), text, HTML and image, PDFMate also outputs to the EPUB format, can create a new PDF document while shrinking multiple pages onto a single page, and rather oddly it can output to the Shockwave Flash (SWF) format. The Advanced settings window is where you can turn on OCR for the document. In terms of an easy to use program, they really don’t come any more simplistic than this. If you’re looking for a bit more control or configuration, it probably isn’t for you though. Sadly you can’t do anything like multiselect files for conversion or convert to anything other than the Office 2003 DOC format, but you do get a preview window which allows you to scroll through the pages of the selected PDF and zoom in/out. A minor thing to note is the Help button doesn’t work, the manual found in Program Files is also not actually for this program. Nuance is a strange tool because you need to install the PDF reader although the conversions are done entirely online, the reader simply uploads the PDF. You also have to enter an email and password to start the process, the link to retrieve the file will then be emailed. 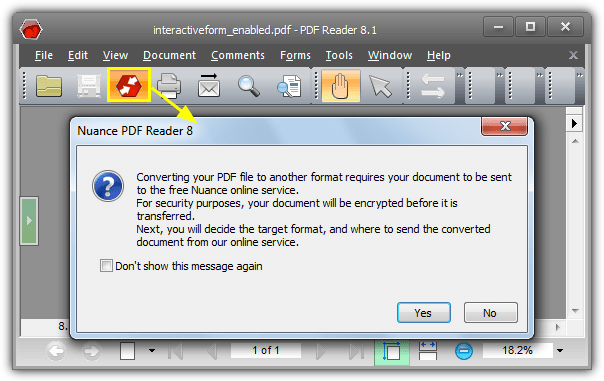 Leaving the Nuance Reader itself to one side, once the file has been uploaded and the unique webpage generated, you can then choose to convert the PDF to DOCX Word format, Excel (XLSX), Rich Text (RTF) or Wordperfect (WPD). The Advanced drop down gives the option to adjust the quality of any converted images. Free PDF conversion software is less common than online converters, but there are still a few around, here’s some we left out. 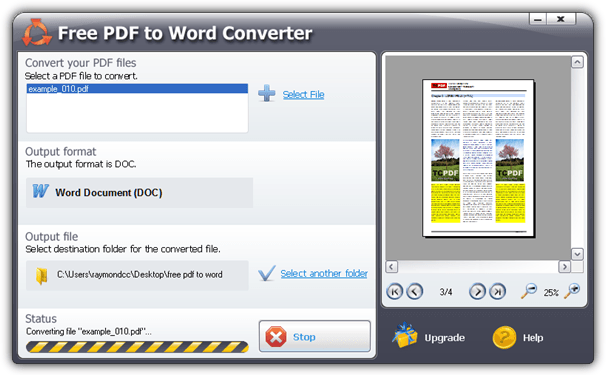 Free PDF to Word Converter – Crashed every time when adding any PDF file. 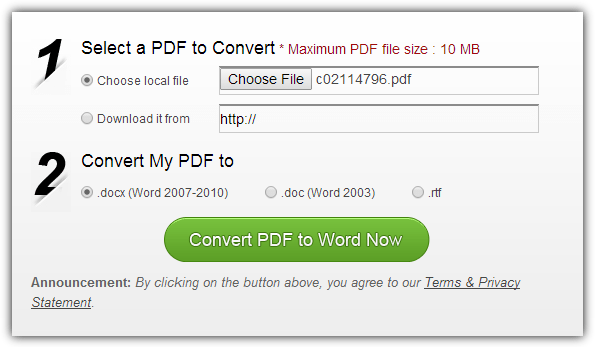 FM Free PDF to Word Converter – Does not convert anything graphical. The “Include Images” tick box makes no difference meaning it’s very limited. 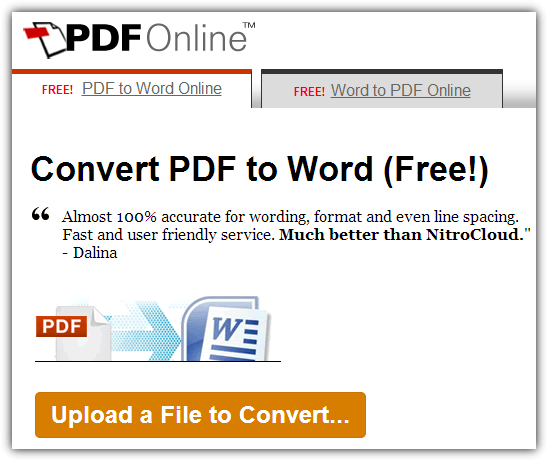 Free PDF Solutions Free PDF to Word – Has at least five adware windows during install, the interface is buggy and the website has a very poor security rating in WOT. FlipPDF to Word (aka Boxoft PDF to Word) – Although it has some useful features, conversion quality was poor, everything was misaligned and badly drawn. Below is a typical example of the type of problems we encountered. 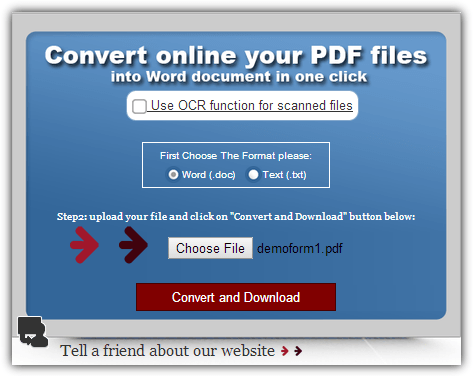 Hello PDF Free PDf to Word Doc Converter – After a few conversions you are required to visit the website and answer a maths question to get a free registration code for every subsequent conversion. 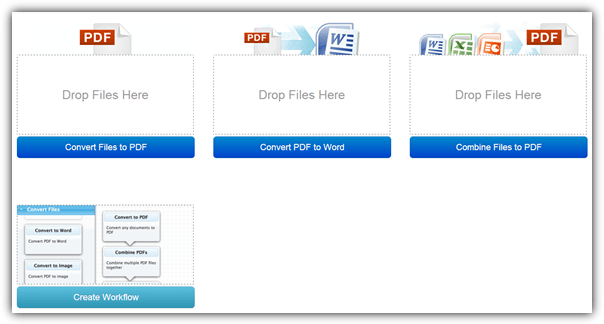 Free Easy PDF to Word Converter – The export to Word function requires Microsoft Word itself to be installed, Office Starter Edition doesn’t work either. Conversions were also poor quality producing plain text documents. 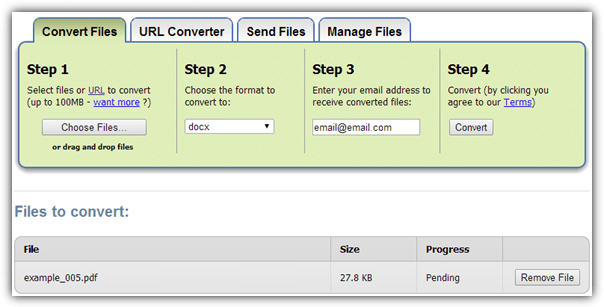 OfficeConvert.com PDF converters – Officeconvert have 3 or 4 free products, sadly they popup nags to buy the full version at almost every opportunity. – Two documents to test tables, one is a simple table PDF, the other uses different HTML tables with varying borders and layouts. – Two interactive PDF forms, one is a partially filled in text form, the other is a form laced with graphical elements. – A document with different font types and a simple pie chart PDF. – Four PDFs with varying cell, column and box layouts to see how they are drawn along with how the text is drawn in and around them. We also use a document to test text stretching and spacing. 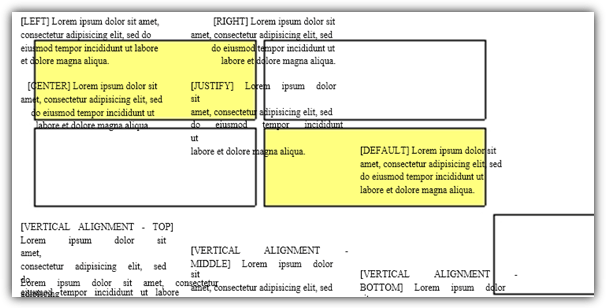 – Three documents with a general mixture of tables, text, images, columns and fonts. To keep things simple, we’re going to summarize the conversion results in a table so you can easily see how each software/service performs. 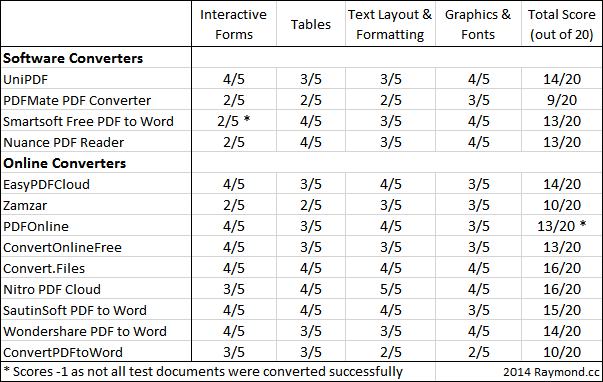 We’re going to look at how well tables are converted, how well forms convert, whether text is laid out and formatted correctly, and if images and fonts are correctly converted. Each will be given a score out of 5, and then given a final score out of 20. Perhaps not a surprise to many is the fact Nitro PDF Cloud was the overall joint winner. Handling of text, fonts and images was pretty much spot on, it was only really the poor drawing of one of the interactive forms and the inability to correctly draw some of the tables properly (see pic below) that kept the score down. The other joint winner, Convert.Files, made a much better job of the interactive form that Nitro had trouble with, but also wasn’t quite as good at justifying and positioning the text inside multiple cells. One advantage is you are not restricted in the number/size of conversions so much. UniPDF was just about the best software thanks to its better handling of forms, Smartsoft did match it in all other areas but refused to open a test PDF containing a form, claiming it was corrupt. Smartsoft Free PDF to Word is worth a special mention though because it was the only tool tested that faithfully reproduced some HTML tables with a double border, nothing else came as close. It did let itself down slightly by not accurately drawing a couple of simpler tables. PDFMate, Zamzar and ConvertPDFtoWord were clearly the worst performers and didn’t really do anything particularly well, from poor text formatting and layout, to badly drawn forms and tables. Nuance PDF Reader is a useful tool because it can both read and convert PDFs. Sadly its form conversion wasn’t good and some multicell text PDFs were quite inaccurate, although it should suffice for simple conversions. Although PDFOnline and EasyPDFCloud are from the same company, PDFOnline refused to process a simple PDF that all the others opened OK. They performed almost exactly the same for everything else so EasyPDFCloud is recommended over PDFOnline because it has more features and is less picky about PDF files. Most of the time we found that online converters produced better results than software converters although you are usually restricted by either file size, page count or time limited, and of course it also depends on your internet connection. If you need to use free software, both UniPDF and Smartsoft were pretty much equal best, although UniPDF is not so good with tables, Smartsoft tripped over a PDF form. Overall we’d say there isn’t really one clear winner because nothing truly excels at converting every PDF document we looked at. That being said, even big hitters like Adobe Acrobat and Nitro PDF Pro aren’t perfect either. Nitro PDF Cloud is great at handling general documents as long as they contain nothing more than basic tables or forms. 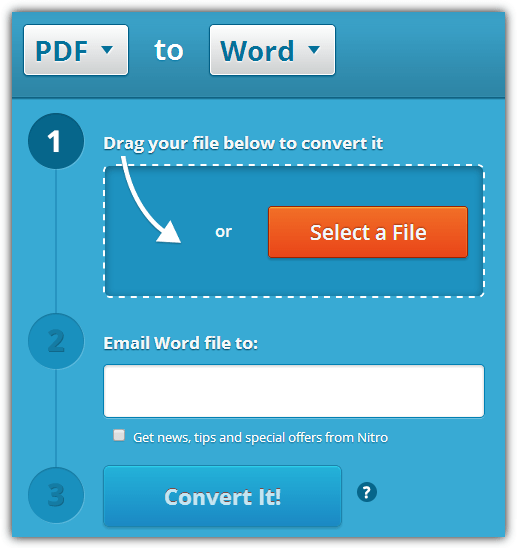 Convert.Files is better for those things Nitro isn’t so good at but isn’t quite so accurate in general text formatting and layout, but it’s far less restrictive than Nitro in PDF size, pages and has no time limits.